Do you need prayer today? It is my prayer that you find the answers you are seeking today. “But seek first his kingdom and his righteousness, and all these things will be given to you as well. Therefore do not worry about tomorrow, for tomorrow will worry about itself. Each day has enough trouble of its own” (Matthew 6:33-35, NLT). Are you praying for your city? The answer is the gift of evangelism. Are you praying for answers? The answer to wrong doctrine is the gift to rightly divide the Word of truth. Are you praying for unmet needs? The answer to needs is the gift of giving. Are you praying for a turnaround? The answer to discouragement is the gift of encouragement. Are you praying for guilt to leave? The answer to condemnation is the gift of mercy. Are you praying for belief? The answer to unbelief is the gift of faith. Are you praying for balance? The answer to disorganization is the gift of administration. Are you praying for knowledge? The answer to wrong motives is the gift of discernment. Are you praying for new friends? The answer to loneliness is the gift of hospitality. Are you praying for a better diagnosis? The answer to sickness is the gift of healing. Are you praying for clarity? 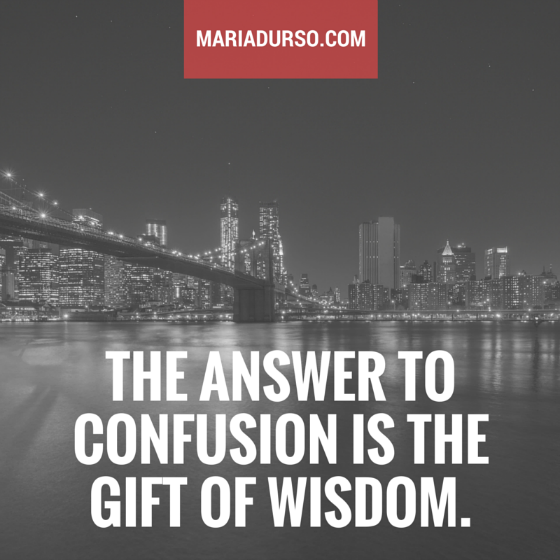 The answer to confusion is the gift of wisdom. Come on, let’s fan into flame every gift that God has given to us. Let’s not allow anything to put our fire out. “Let the fires go out in the boiler room of the church and the place will still look smart and clean, but it will be cold. The prayer room is the boiler room for its spiritual life” (Leonard Ravenhill). I downloaded From your head to your heart on my kindle and I read it a few months ago. I really enjoyed it.